« YOUR WEEK IN OCEAN: California Sea-Level Rise! Humboldt Whale Watching! Local Earth Day Beach Cleanups! On Saturday, a domestic cat was found on Eureka’s F Street with a large section of skin torn away from its side and hind quarters. The cat was taken to Sunny Brae Animal Clinic, where it underwent emergency surgery. 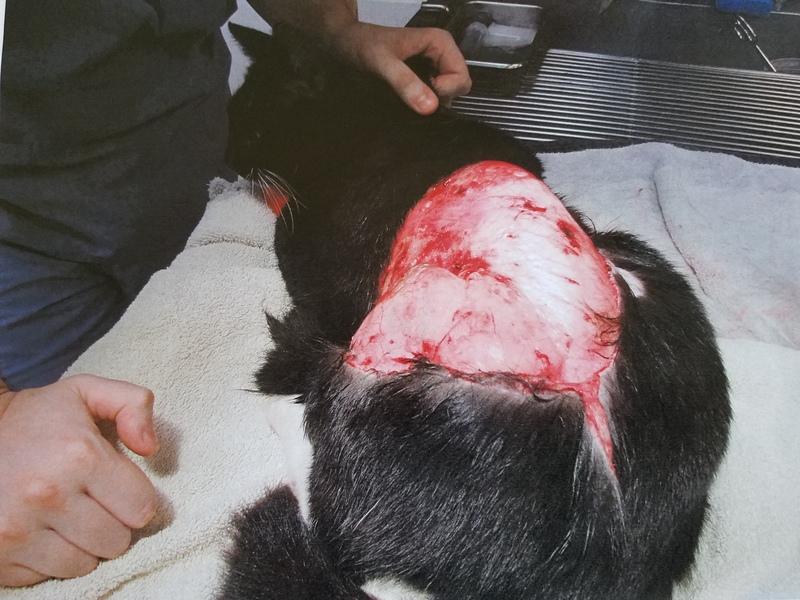 Neighbors were shocked and outraged, assuming somebody had tortured the cat, but according to the Eureka Police Department the vet who operated on the cat said there’s no medical evidence suggesting the wounds were intentional. “We’re not ruling that out,” said EPD Animal Control Officer Celeste Villarreal. 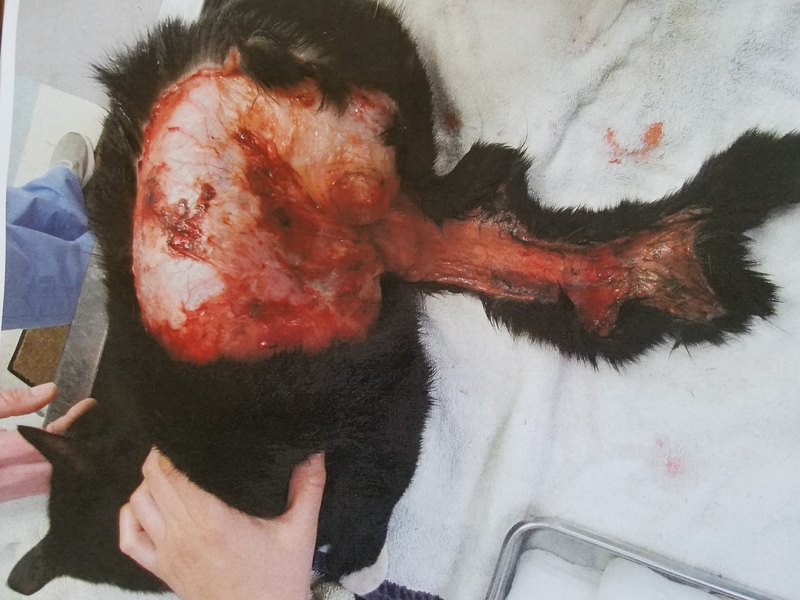 But the vet explained in a medical report that animal skin attaches to the body in such a way that small tears can lead to “degloving” injuries such as this. Villarreal said this was the largest degloving injury she’s seen personally but that such injuries aren’t unheard of. Management of Sunny Brae Animal Clinic politely declined to answer questions from the Outpost, citing privacy rules, but according to Villarreal a vet there theorized that the cat’s injuries could have been caused by a car’s fan belt or an automatic garage door, among countless other possibilities. Deliberate human action remains one of those possibilities. Just got done talking with the neighbors. The surgery went better than expected and they hope to have him released in the next couple of days. It will been [sic] months of recovery with daily bandage changing. We are hopeful … that the cat is able to recover from this trauma. Wendy Kupilik, who heads the nonprofit animal rescue organization, said people who want to donate to the cat’s extensive vet bill can call Sunny Brae Animal Clinic with a credit card to put money toward the bill, which is under the name of Kimberly Bryant, a neighbor of the cat’s owner. Any money donated above and beyond the vet bill will go toward the cat’s after-care, which is also expected to be expensive, Kupilik said, or toward an emergency animal fund being established by a variety of nonprofits, including HART, Spay Humboldt, Bless the Beasts and Friends for Life Animal Rescue.